Are you looking for an opportunity to enhance your resume and stand out from the competition? A study tour offers a great way to develop your knowledge and practical skills while receiving credit towards your ECU degree. Study tours are group programs led by an academic staff member and can run from 1 - 6 weeks in length (usually between semesters). *Please note that individual faculties and schools may have higher requirements. Below is a list of upcoming study tours in the school. 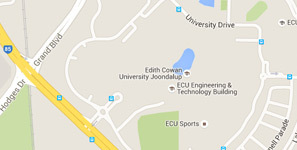 In conjunction with the Emirates Group, Edith Cowan University is inviting students to apply for work integrated learning placements in Dubai, UAE, in Semester Two 2019 supported by a grant of $5,000! The Emirates placements will give ECU students the opportunity to put their learning into practice in one of the fastest growing cities in the world. Whilst developing real world experience the fields of Aviation, Criminology, Law and Security, building international networks participants will also be able earn credit towards their ECU course. be studying Aviation, Criminology, Law or Security. Applications are open to both domestic and international students. a written statement of no more than 500 words addressing why you wish to participate in the program, why you would be a good ECU ambassador on the program and the expected outcomes, both personal and academic, that you hope to gain. Undergraduate students from the Schools of Science, Health & Medical Science and Education can apply to participate in the 2019 international study tour to Khon Kaen University in Thailand. Involving two weeks of lectures, fieldwork, community visits and cultural activities, the study tour will provide students with a unique cross-cultural experience of their study discipline and an opportunity to interact with and learn from students outside their discipline. Eligible participants will enrol into and receive credit for International Project HST3505 (for Health and Education students) or International Science Project ISS3101 (for Science students). There are 16 New Colombo Plan Mobility Grants available for eligible students. The application process involves participation in a selection interview. Please note: To apply, please complete and submit the online webform here. The next stage of the application process will involve an interview. Funding available: This Project is supported by the Australian Government’s New Colombo Plan.